As you can tell by the bare trees, this post has been a long time coming. 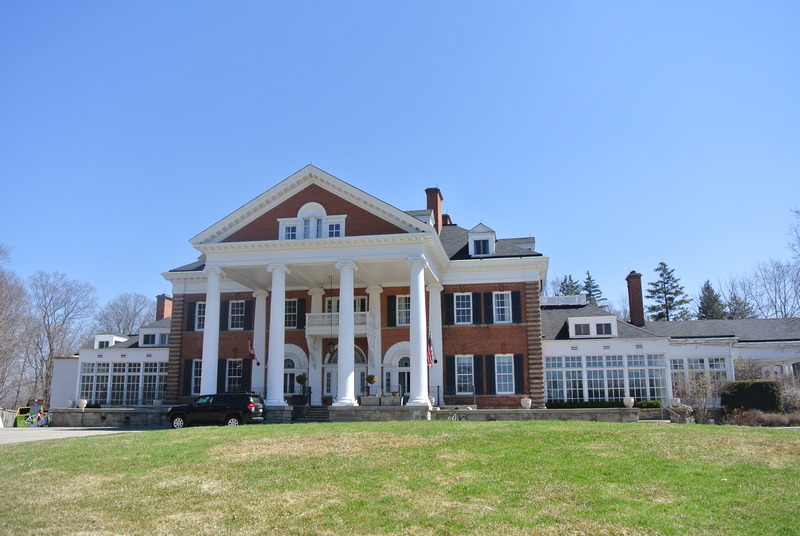 This past Easter, my friends (I, S and W) and I did a little road trip out to Cambridge, Ontario for afternoon tea at the historic Langdon Hall – about an hour or so west of Toronto. It was my first visit out to the the hotel and spa and what a beautiful property! 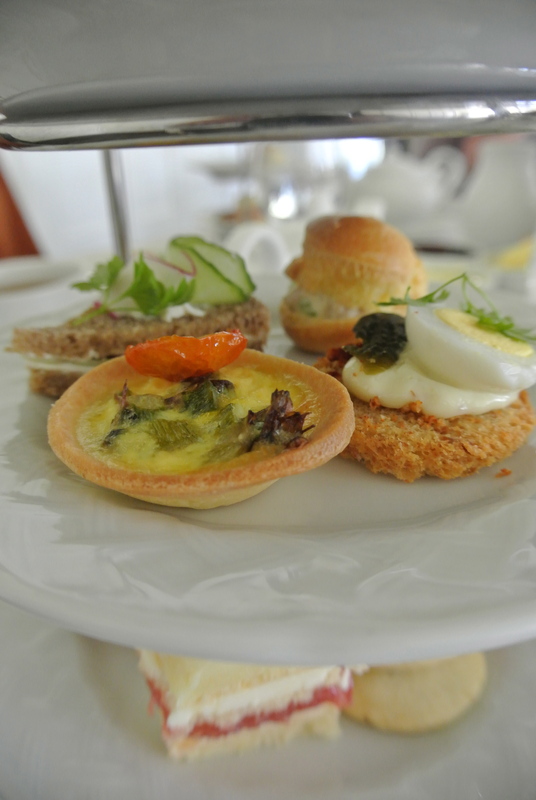 Afternoon tea was served is a small all-white room overlooking the back property. There was at most 10 tables. 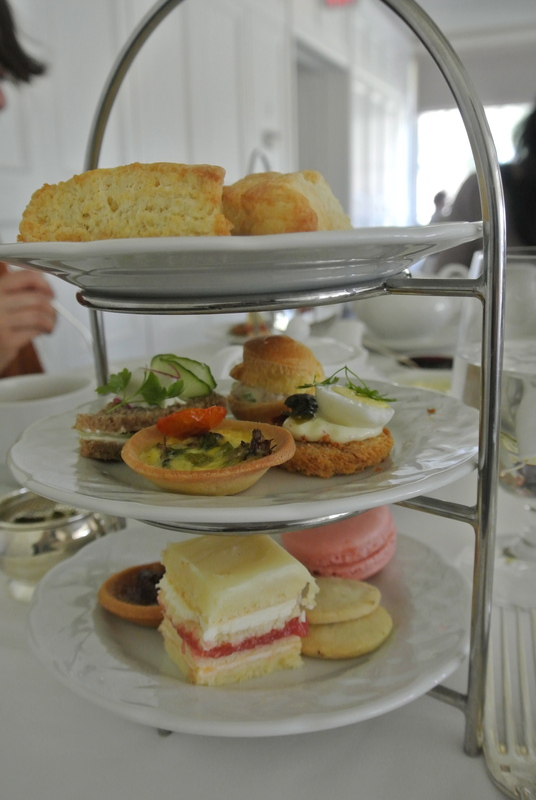 The selection of teas were limited (I order the Imperial Earl Grey) however, the savoury and sweet selections were delicious! My favourite will always be the scones and devon cream but the strawberry macaroon and the charred asparagus and sweet tomato tart were both so tasty! I also loved the fact that we each got our own three tier stand, no sharing involved – bonus! 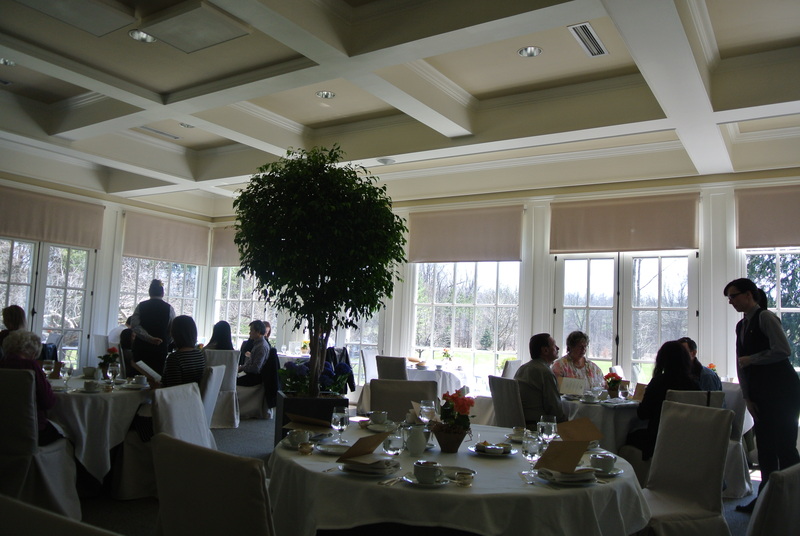 Inside the tea room at Langdon Hall. 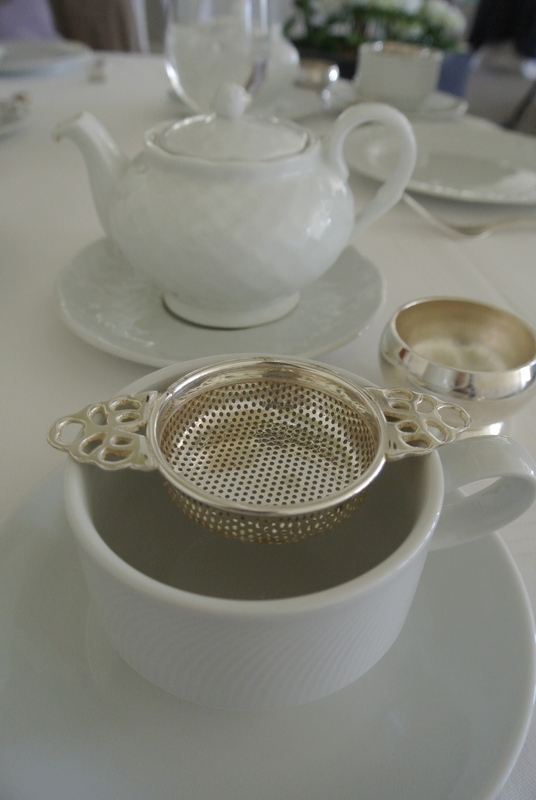 White tea set at Langdon. 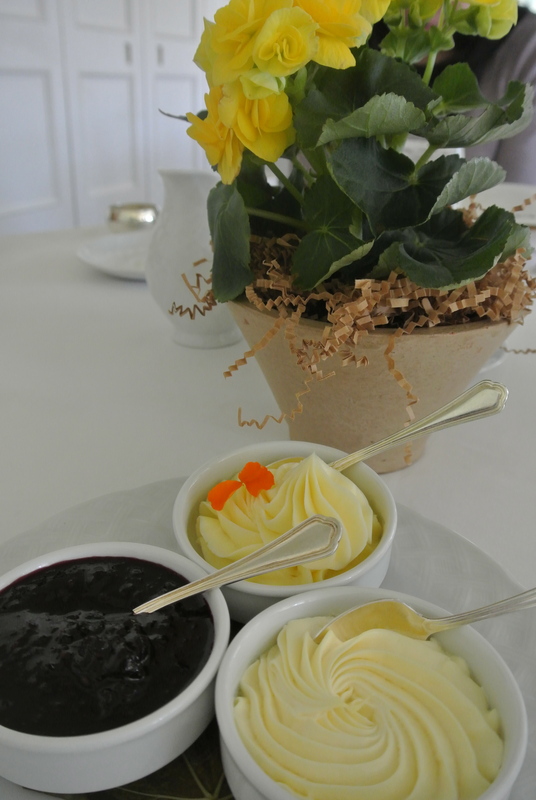 Devon cream, honey butter and housemade preserves. Three-tiered stand full of yummy savoury and sweet things. Charred asparagus and sweet tomato tart on the left and quail egg, mustard aioli on smoked paprika crouton. 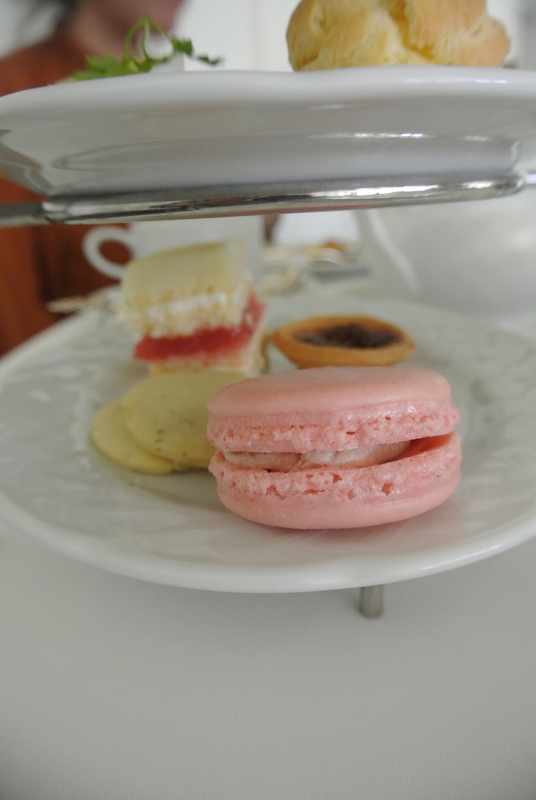 Beautiful strawberry macaroon, butter tart, rhubarb opera cake and lavender sugar cookie. 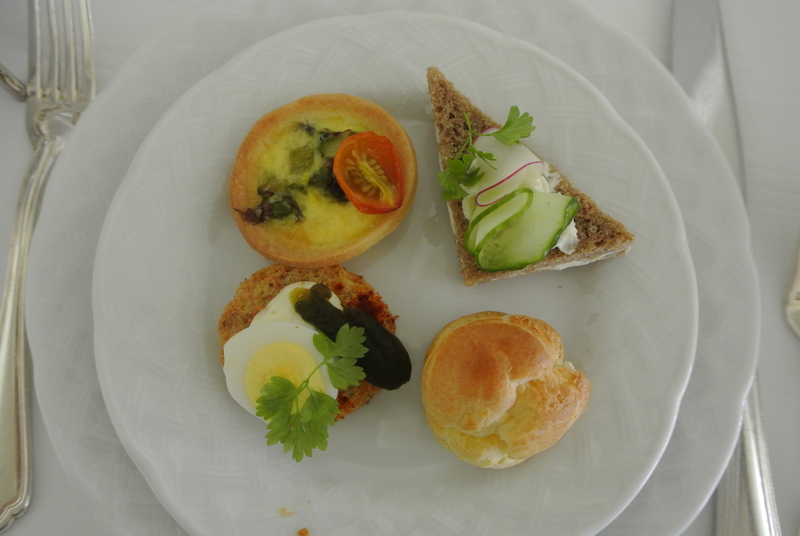 Deliciou savoury plate: asparagus and tomato tart, quail egg on a crouton, chicken and apple gougier, and cucumber on pumpernickel.